Northern Indiana Funeral Care, locally owned and operated, specializes in providing low-cost funeral and cremation services to families in Fort Wayne and all of Northern Indiana. In these difficult economic times, more people are seeking an affordable solution when planning one of life’s most difficult events. We promote the simple idea of having services at a church or other venue, saving you 40% or more compared to the high cost of most funeral homes. With a focus on simplicity, we keep overhead low and believe in an approach that’s straightforward and easy to understand. For that reason you’ll find all of our prices on this website. You can also visit our new online store for cremation and other keepsake and memorial products. Northern Indiana Funeral Care proudly offers a variety of funeral services for veterans. We are dedicated to serving our veterans by providing affordable funeral and cremation services to former and current members of the U.S. military and their families. Northern Indiana Funeral Care now offers a Firefighters Funeral Program designed especially for firefighters and their families. 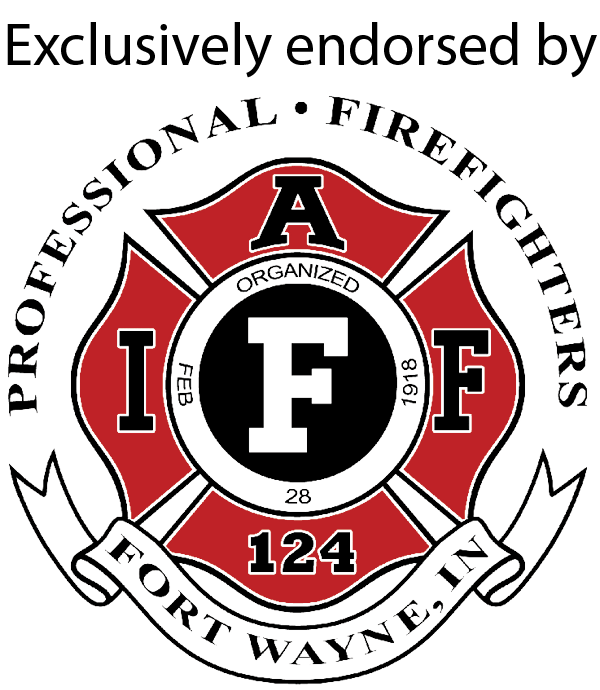 This program has been developed in conjunction with the Fort Wayne Professional Firefighters and proudly carries their endorsement. Learn why more firefighters are choosing us for their funeral needs. Feel free to contact us at (260) 456-0890 or (877) 382-2756 or send an email to northernindianafuneralcare@gmail.com. Craig did an amazing job with all aspects of my father's viewing, Hubert 'Bud' East. Craig had to assist with the organization of 3 funeral homes since my father lived in Florida, had viewings in Indiana and buried in Ohio. Craig was very professional in all he did. He returned any calls promptly and guided us through any steps that needed to be addressed. Their pricing was also very good. We see how God truly met our needs through your caring employees. God is faithful! Thank you Craig.